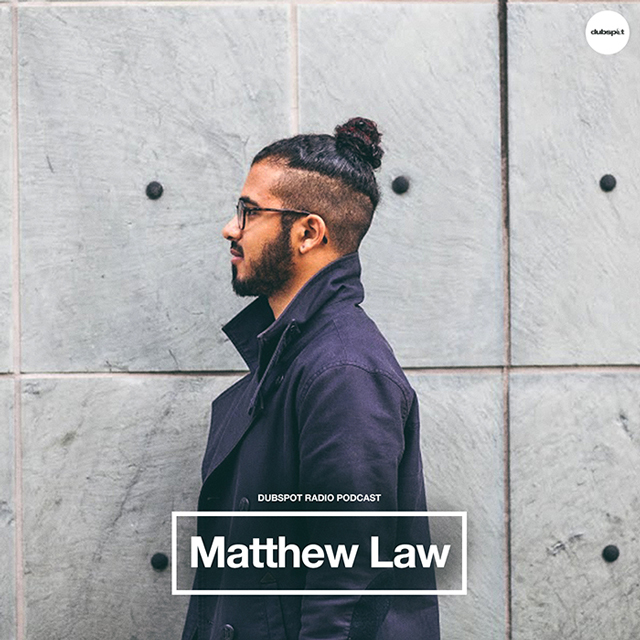 For this week’s installment of Dubspot Radio Podcast, we welcome rising Philadelphia-based DJ and aspiring producer Matthew Law (f.k.a. DJ PHSH) of Illvibe Media for an exclusive DJ mix and interview. In a conversation with Dubspot Radio, Matthew talks about the current musical landscape of Philly, some of his influences and inspirations, and opening for Prince on SNL 40th Anniversary special alongside Questlove. 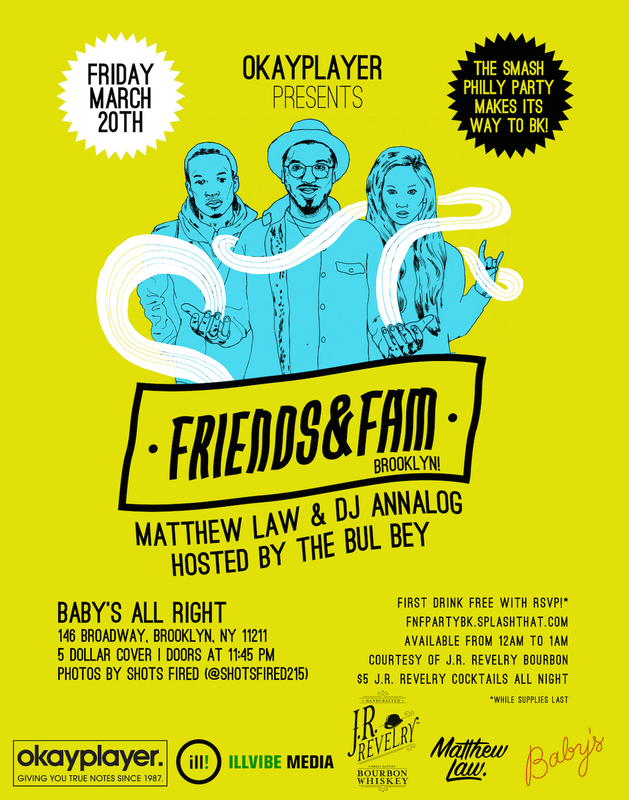 Matthew Law and the Illvibe Collective brings their successful Philly-based Friends & Fam party to Brooklyn on Friday, March 20th. MATTHEW LAW (formerly DJ PHSH) born in West Philadelphia in an area long heralded as a hotbed for artists of all mediums. From the very start, this son of two theatre aficionados was exposed to an array of musical styles – Classical to Avant-Garde Jazz, Psych Rock to 70’s Funk. MATTHEW now draws from his vast musical knowledge and incorporates all these elements into his unique party rocking sets. In 2013, MATTHEW (as DJ PHSH) was voted Northeast Champion of the Red Bull 3Style Competition. He ultimately placed third out of 130 competing DJs in the National battle by a celebrity panel of judges including Jazzy Jeff, A-Trak, and Z-Trip. MATTHEW often mans the 1’s and 2’s for Black Thought and Dice Raw, providing the beatscapes for these two Legendary Roots Crew MCs. He toured extensively in the US with rapper Gilbere Forte and has also hyped the crowd with opening sets for Kendrick Lamar, De La Soul, J Cole, Slick Rick, Yeawolf, and Mos Def. In addition, he has appeared at every PSK event in Philadelphia, as well as the Roots Picnic 2013. Most recently, MATTHEW (as DJ PHSH) was featured on MTV’s Rap Fix in an extended interview with Sway. He will soon be DJing alongside Questlove at the highly prestigious Barnes Foundation in Philadelphia. As a member of the Illvibe Collective, MATTHEW LAW gained international exposure as a featured DJ on the 2011 German tour for the Hip Hop Don’t Stop series. The series has also featured the likes of Pete Rock and Premiere. Back in the Illadeph, MATTHEW LAW produces his own event called FRIENDS & FAM that draws a sold-out crowd of 300+ people every month. During the summer months, you can also catch him spinning for a crowd of nearly 1,500 at Philly’s notorious Sundae party series. With stamps of approval that literally go from A-Trak to Z-Trip, this rising star is definitely one to keep your eyes and ears open too. Keep up with Matthew Law on Soundcloud, Facebook, and Twitter. Matthew Law and the Illvibe Collective brings their successful Philly-based party to Brooklyn on Friday, March 20th at Baby’s All Right in Williamsburg. With support from Okayplayer, New York City based DJ Annalog and a host of special/unannounced guests, Friends & Fam Brooklyn should be a great night! RSVP here.